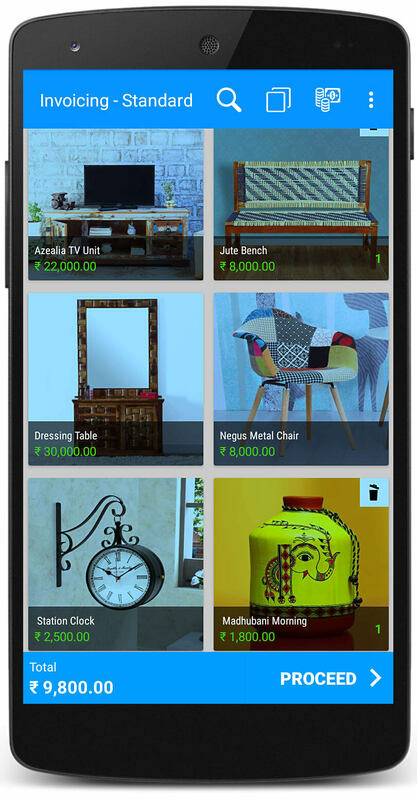 Furniture & Home Decor Software to sell and manage the products, inventory, customers, loyalty, add discounts, special offers. Everyone loves to decorate their home and make it beautiful. That’s where the personalization interior home decor business became important. But there are problems making this business struggle, which can resolve with technology implementation in business. The major issues are the proper recording of customers expectations, following the new styles and trends, managing costs etc. Just Billing home decor software will make you note down the details of customer wish. Managing the cost of materials to get profit can be done very easily with the help of our software. It gives you clear reports where you spending money. By analyzing it you can optimize your costs. Home decor products are mostly little expensive and customers want a bill with GST tax mentioned in it. Just billing software can generate bill including GST tax on a product level and on the total bill. Which gives you clear figure how much tax percentage or amount applied. A customer always want some customization to look house beautiful according to their tastes. Software will make you note down all their preferred details product wise. This helps to give customers what they wanted without any error. When some customer places an order for products, most of the time you will collect some advance money. The software records it and will give the information how much remaining to pay on the day of delivery. Most of the time, people take quotations how much the products cost. Also, people place orders a few products to make according to their choice. When people want to convert quotations or orders to generate an invoice, you don’t need to create a new one. Those quotations or orders can convert to invoice in just one click. Usually, after buying products, customers want it to delivery at their home. In just billing, you can assign to a delivery agent with proper delivery details and can also authorize to collect any due payment. Get complete sales status with touch in real time. You can also generate a sales report by hourly, weekly, monthly etc. Even you can get customized dates reports also. Usually, there will be a lot of suppliers in home decors business from many places. Just billing allows to note down all their details and map the products they supply. This will helps you to place orders easily and also have an estimation when the products get delivered. Transactions mostly happen in big numbers and keep a record of all the details for the accounting process is difficult. But in just billing when you record transaction, accounting process in all levels change respectively. Download and follow simple steps to setup Just Billing Home Decor Software.